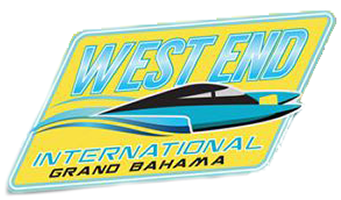 To bring the Village of West End, Grand Bahama Island, and The Bahamas the most positive economic impact, International Boat Racing Association announces the postponement of the West End Invitational. Originally set for April 19, 2017, the West End Invitational is now scheduled for October 6-8, 2017.
International Boat Racing Association’s number one commitment has been and will always be to make the most positive impact on our host communities and committed sponsors possible. With this in mind, the West End Invitational will enjoy much more preparation and promotion to bring tourism, fresh capital and the fastest action the beautiful waters of the Village of West End have ever seen. The additional lead time will ensure a bigger and faster event for all! The International Boat Racing Association thanks the Bahamas Ministry of Tourism for their support of the postponement. IBRA also thanks our committed sponsors Environmental Manufacturing Solutions, Old Bahama Bay Resort and Yacht Harbour, Commonwealth Brewing Limited, Coca-Cola, and Island Coast Charters. Most of all, International Boat Racing Association thanks the residents of the Village of West End for their continued support and hopes to serve the community with the most stellar event imaginable October 6-8, 2017.